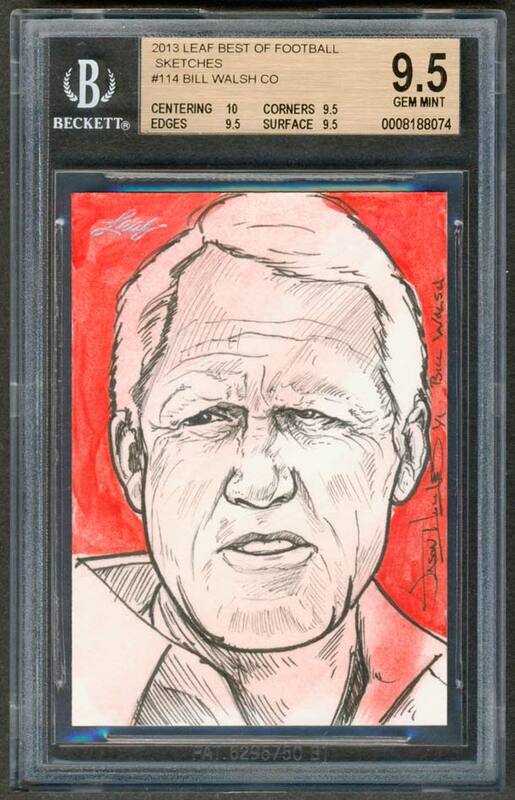 HOFer Bill Walsh is shown on this 1/1 card sketched by Jason Hughes. SGC and PSA wouldn't grade these art cards and I wanted them slabbed for protection. I found several holdered examples on eBay and knew what had to be done. In early 2014 I decided to sign up for a Beckett grading membership with the understanding it included free gradings. 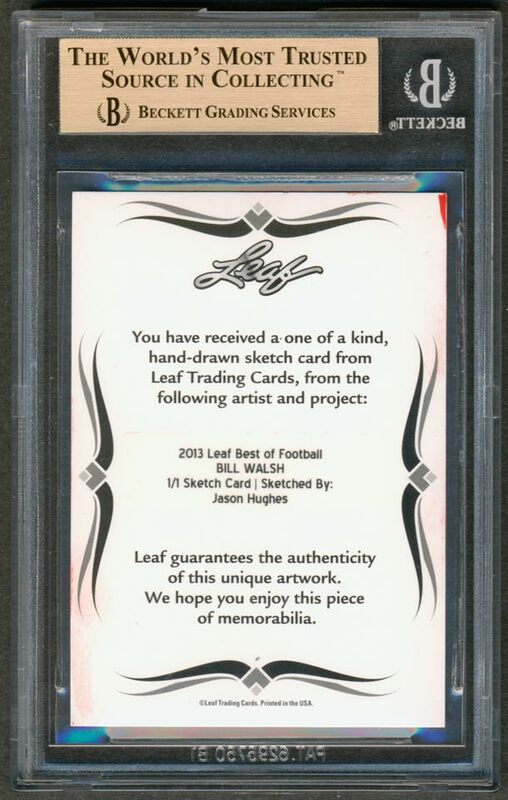 I submitted this item along with several other sketch cards, some vintage Sporting News supplements, and the items were returned to me in June, 2014. The sketch cards all graded GEM or MINT. I was ecstatic to have them holdered finally.